The International Olympic Committee (IOC) has awarded all TV and multiplatform broadcast rights in Europe to Discovery and Eurosport for the four Olympics in the 2018-2024 period. It’s a significant blow for Europe’s public service broadcasters including the BBC, ARD and ZDF, who have enjoyed decades of Olympic coverage. They and some of the continent’s smaller broadcasters will be hoping that they are able to negotiate a sub license from Discovery. Discovery has acquired the exclusive rights, valued at €1.3 billion, across all platforms, including FTA TV, subscription/pay-TV, internet and mobile phones, in all languages across 50 countries and territories in Europe except Russia. Consistent with IOC and local market requirements, it has committed to broadcasting a minimum of 200 hours of the Olympic Games and 100 hours of the Olympic Winter Games on FTA TV during the Games period. 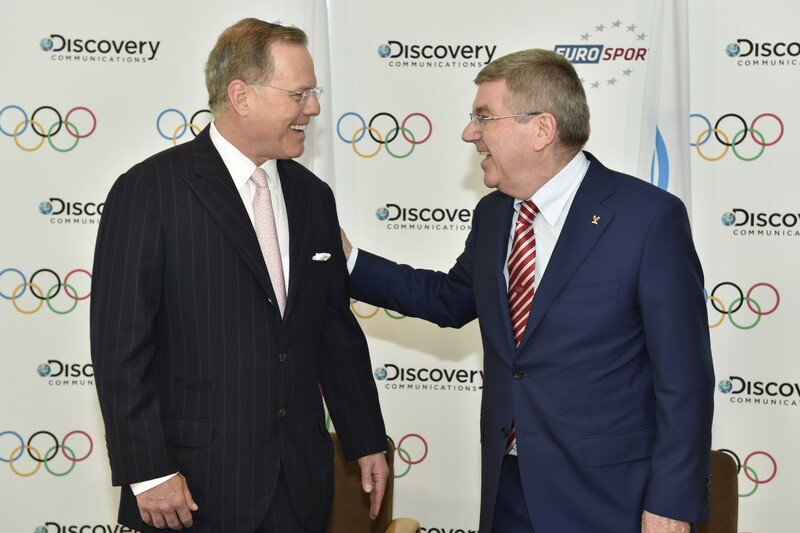 Discovery and Eurosport will have access to the Olympic emblems and the Olympic video library and archive. They have agreed to cooperate closely on the rollout of the IOC’s Olympic Channel, taking advantage of Eurosport.com and the OTT service Eurosport Player.